Causation cards are a fun, interactive way to review vocabulary and concepts that students need to learn. 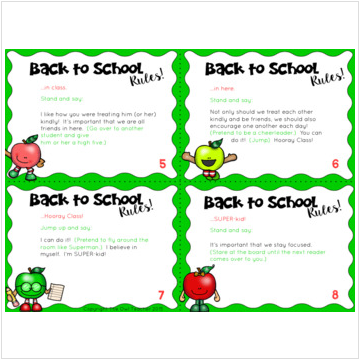 This particular set of causation cards has a back to school theme so that you can start the new year off with a light and fun--yet educational--note! While I recommend printing in color and laminating materials for future use, it is not necessary. These materials print just fine in grayscale. I have also provided a black and white version. With a fully designed causation card set, it comes complete with everything you need! These causation cards are perfect if you need a back-to-school activity! These causation cards save you time! Additionally, they're perfect for when you have a substitute!